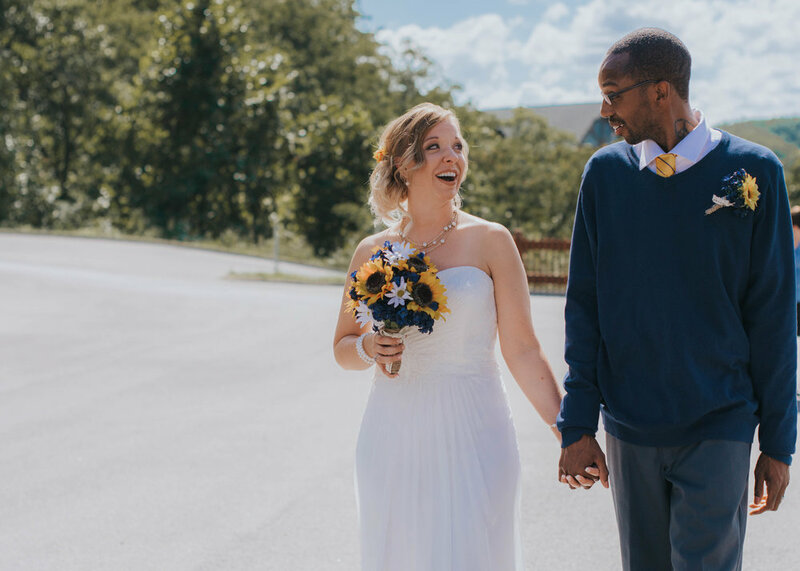 When we were asked by Lynn and Chris to travel to Pigeon Forge to document their wedding, we did not hesitate. We've always wanted to experience Tennessee, but also visit really good friends at the same time. Lynn and Chris envisioned their wedding to be small with close family and close friends. We were honored to be considered to be part of their family and had a wonderful experience sharing this moment with them. Capturing their photos was such an experience. The love that Chris had for Lynn was not like any other I've seen before in a groom. Chris was full of excitement a couple of days before the wedding. He kept saying, "I can't believe we're getting married." While I was in the cabin with Chris getting ready with his brothers, I just sat back and listened to their conversations, one of them was reminiscing about their childhood to becoming a man getting married that day. One of our favorite moments from spending time with Lynn and Chris was their engagement session. Towards the end of the engagement session as the sun set, I asked Lynn to look at Chris. As she was looking at him, she could not help but she cry in happiness. I stepped back but still kept capturing the moment as Chris talked to her. It was probably one of our favorite photographs because it was pure and honest. Their love for each other is genuine and we are honored to capture every moment of it for them.